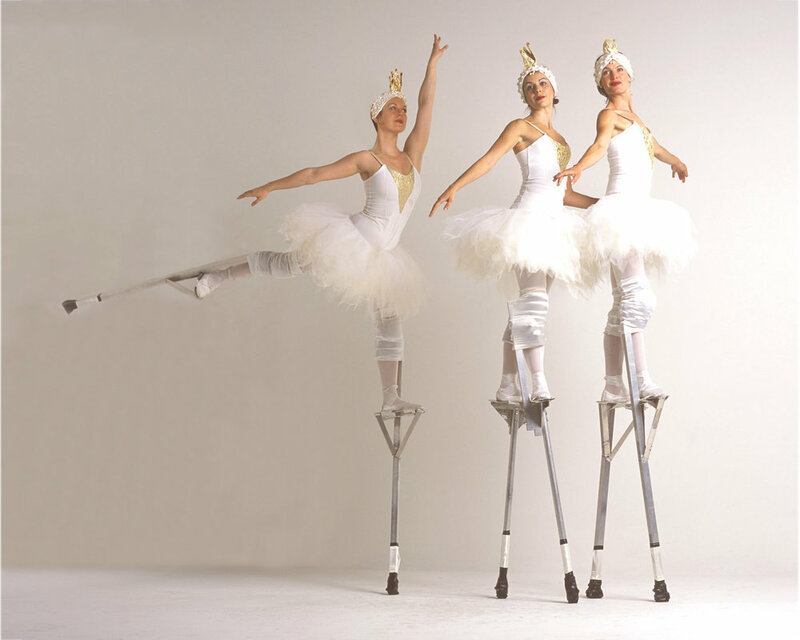 A stilt ballet performed by classically trained dancers. 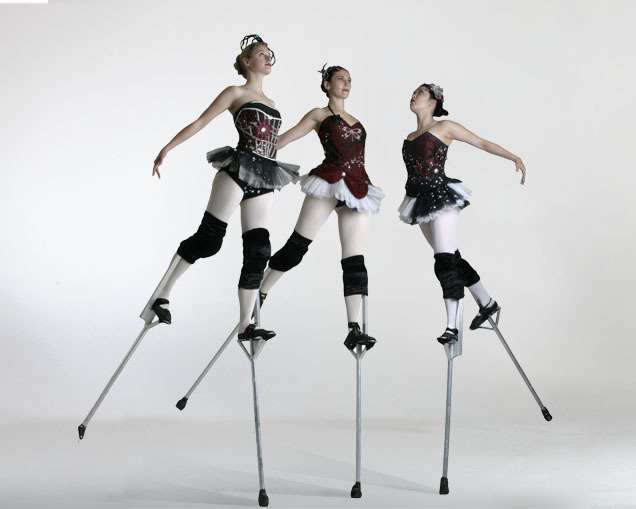 Wonderful as a wandering ballet act, these characters can also perform stilt shows. With or without lights as required, they can also be accompanied by their own wearable speakers for extra magic. These characters always make a lasting impression at Christmas parties or as part of Christmas parades, and have attended numerous Christmas lights switching on events. Simply loved, especially by small children.